For just 35p a day, Carmarthenshire Careline service users are able to use a dedicated alarm system which allows them to call for help 24/7. The service has recently expanded, and now deals with over 28,000 clients living in Carmarthenshire, Ceredigion, Swansea and Neath-Port Talbot. This year, the service also took on an additional 1,000 clients from the Welsh Ambulance Trust and has begun monitoring all out of hours calls on behalf of Powys County Council, becoming one of the leading examples of cross-authority collaboration in Wales. Carmarthenshire Executive Board member Cllr Pat Jones said she was delighted to meet staff, and to pay thanks for all their hard work throughout the year. She was particularly keen to hear how staff are dealing with an increased volume of calls, owing to the recent developments. “The staff are unbelievably busy, and they really do deserve to be thanked for their efforts,” she said. Menter Cwm Gwendraeth has opened a youth club in Drefach. The youth club meets every Tuesday in Drefach Welfare Hall from 5-8pm. Aled Evans, one of Menter Cwm Gwendraeth’s youth officers, said: “The club opened last Tuesday for young people aged 14-19. There is Wii, games and music and we are considering showing films when the nights draw in. Aled is asking anyone who is interested to come along to the club on a Tuesday night. The junior section of Theatr Ieuenctid Menter Cwm Gwendraeth will be performing in an adaptation of a tale from the Mabinogion. Pwyll, Rhiannon a’r March Hud is an adaptation by Emlyn Dole of the story of Pwyll Pendefig Dyfed. The production will feature fun, songs and dancing. There will be performances by the children aged 7-11 on Wednesday November 30 and Thursday December 1 at 7.30pm in Neuadd Pontyberem. Tickets will be going on sale through Menter Cwm Gwendraeth. Theatr Ieuenctid Menter Cwm Gwendraeth will be performing in a colourful and lively show about childhood next month. The production, Chwarae Plant, will be staged at Neuadd Pontyberem on Tuesday October 18 and Wednesday October 19 at 7.30pm featuring youngsters from the age of 11-18 as well as singer Gwenda Owen. 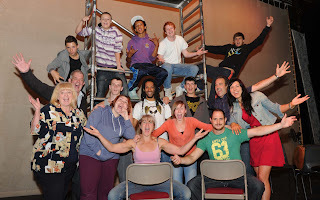 The show’s director Carys Edwards said: “This is a show that encompasses the life of a child from birth to youth. The audience will have a glimpse of a child coping with growing up and that through song, dance, varied scripts and poetry. Tickets are £7.50 for adults and £3.50 for children and are available by contacting Menter Cwm Gwendraeth on 01269 871600. Carmarthenshire consistently ranks as one of the best counties within Wales for successful Duke of Edinburgh participants and award receivers. Statistics released in the DofE Wales Performance 2010-2011 list Carmarthenshire as the second most successful county in Wales, just behind Cardiff, for new starters with 958 young people beginning the Duke of Edinburgh award scheme. Similarly, Carmarthenshire saw 410 young people through to the actual receipt of their award, the third highest statistic in Wales. “Recognising these experiences through the DofE award can help them get into University or get a job." More than 20,000 counterfeit CD disks of feature films, music and games have been seized in a raid on a house in Llanelli. The action was taken to protect legitimate businesses from the damage caused by pirating CDs. Carmarthenshire Trading Standards Officers and Dyfed Powys Police executed a warrant under the Trade Marks Act 1994 /Copyright Designs & Patents Act 1988 at the property last week. They were assisted by an officer from the Federation Against Copyright Theft. Officers seized 23,000 copied discs and related items as well as a substantial amount of cash. Carmarthenshire Council's Executive Board Member for health and social care has formally responded to a petition regarding a Llandeilo day club service. At a recent Executive Board decisions meeting, Cllr Pat Jones acknowledged the petition, handed to the county council in June, and noted the concerns raised regarding the closure of Noddfa Teilo. She has now penned a formal response letter, assuring petitioners that a replacement club, which was launched by the WRVS at the nearby Maes Elfryn Sheltered Scheme, is already meeting the needs of those who had formerly attended Noddfa Teilo. It is one of five county council run day clubs which have successfully transferred to the voluntary or independent sector. 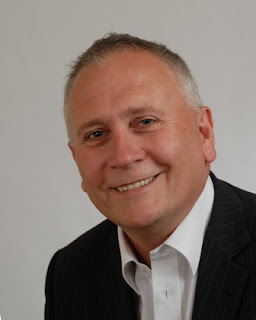 Cllr Jones said: “Of course I understand that people in the Llandeilo area had their concerns about what they had perceived as a loss of service for older people in the community. Figures released today by the Local Government Data Unit show that performance in Carmarthenshire is continuing to improve. The county had the very best performance indicator results in four categories and joint top in another 20. Off to Cardiff for a business pow-wow this morning. Looks like another scorcher! A limited number of spare seats are being made available on dedicated home to school transport vehicles for pupils who do not currently meet eligibility criteria set out on Carmarthenshire County Council’s home to school transport. There must be seats available on the bus serving an existing route so no additional mileage can be incurred. Letters have been sent to head teachers of schools where there may be eligible children, requesting them to distribute the forms to relevant pupils. No forms are available from the council. The ‘K Factor’ is making all the difference for a Llanelli business which is bucking the recession by expanding into a new showroom. Komplete Interiors is run by Kathy Bowen - and the ‘K’ puts the kick into a business which has expanded to employ three members of staff. The latest expansion sees Komplete Interiors moving into a new showroom at Unit D on the Bynea Industrial Estate, Llanelli. “This is a business where we can honestly say we will be raising the curtain on a new era,” Kathy smiled. The Komplete Interiors business started in April 2006, with Kathy working on her own, offering painting, decorating and soft furnishings. 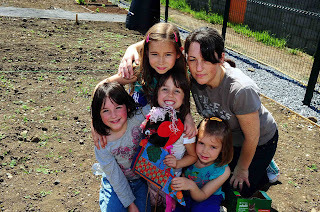 More land has been offered to the Llwynhendy Environmental Group to extend its successful community garden and allotment project. In April, Carmarthenshire County Council agreed to lease a large area of disused land on Cefncaeau’s Dwyfor estate for a period of 21 years on a peppercorn rent to cover the cost of the setting up of the lease agreement. It was officially opened in June, and provides 16 full-sized plots and three raised beds, with sheds, paths and security fencing. Now, Housing Executive Board Member Cllr Hugh Evans has agreed to extend the lease of the land to include another parcel of land to the south, which incorporates 10 disused garages. The group has secured £26,000 Local Environment Quality funding, and plans to use the money to develop a sensory garden on the new land, as well as using the garages for storage and potting. Cllr Evans made the decision to extend the lease on September 8. The county had the best performance indicator results in five categories and was joint top in another 20. Three sports workshops are being run for coaches to help in the safeguarding and protection of children. Carmarthenshire County Council sports development officer Hilary Jones said the special designed Sports Coach UK courses were for all coaches who wanted to gain more knowledge in a particular coaching issue. She said: “These workshops sessions will help coaches recognise and respond appropriately to issues of child abuse and protection. The courses are on November 7th, 14th and another is on February 6th at Carmarthen Leisure Centre. The courses can help sporting club coaches throughout the county gain support from a wider sporting network, create clear pathways for their best performers and maximise use of limited resources as well as supporting accreditation and funding. Plans to increase salt storage facilities at Carmarthenshire County Council’s Nant Glas Depot have been given the go ahead. The county planning committee approved an application by the council’s Street Scene section to build an extension to the existing salt barn at the depot in Pontarddulais Road, Cross Hands, to build a new salt barn alongside and to extend the garage to be able to accommodate an additional vehicle. The operational salt storage barn is used in extreme weather conditions and the garage building is used to park gritting lorries. Wanted! Lollipop men and women! Carmathenshire County Council has 10 school sites across the county that have schools crossing patrols officer vacancies. The hours can vary between five or 15 hours a week, depending on the school, and the renumeration from £30 to £100. Loved by children and badly treated by some motorists, the job lot of a lollipop person can be hard to lick because such vacancies are difficult to fill. Carmarthenshire County Council is having difficulty replacing a schools crossing patrol officer in Pembrey. The lollipop person retiring was a much loved friend of children and parents and the community campaigned for a replacement. But despite extensive advertising there was only one applicant and that one has not pursued the worthwhile career with the transport department. CRB checks have to be made because the work is with children. An innovative project which allows disadvantaged people living in Carmarthenshire to build skills and confidence has been shortlisted in the 2011 Welsh Housing Awards. More than 200 people, mainly those living in Communities First areas, have benefitted from Building Your Own Future in Sir Gar courses, learning basic skills in building trades including carpentry, tiling, plumbing and plastering. Of those that have taken part, around 30 have been able to secure jobs, and many more have felt confident enough to enrol on further education courses. The programme has now been recognised by the Chartered Institute of Housing Cymru, which has shortlisted it for an award in its Developing and Regenerating Communities category. Back at base camp . . .
Just back from Aberglasney House and Gardens. Simply wonderful there this morning - glorious day, glorious surroundings. Every year I say the same, Abergavenny Food fair is a ‘must attend’ event! This year was no exception, with some great finds, new food styles and more artisan cheese producers. But it was disappointing to note that there were not many exhibitors flying the flag for the West Wales food fraternity. With autumn upon us and the nights fast drawing in, it’s time to get the bottle beers out and to sit down and enjoy the marriage of great ales to great food, and to understand what a marvellous marriage beer makes with food. Rather than sing the praises of specific brewers, I have decided to set out my stall and go for generic beers and styles, and let you pick the one for the job. The food, however, is a different matter. Autumns means different things to different people, but for me it’s about berries, chutneys, and a myriad of stews and mature dishes. Carmarthenshire residents and road users are being reassured that the council is well prepared for this winter with double the amount of salt compared to two years ago. The Environment Scrutiny Committee heard that the Street Scene section has 13,000 tonnes of salt in stock ready to grit the roads in icy weather - rising to 16,500 tonnes by the end of October. There is also 1050 tonnes of quarry gritstone in storage for use in extreme conditions. Members were told that planning was well underway for this winter and as well as an increase in salt, a review had been carried out of the routes and the number of 4x4 vehicles in the council fleet. A full inventory of grit bins has also been carried out and the 1100 grit bins in the county will be re-filled as necessary. The council’s Building Services division established ‘hit teams’ to respond to schools, care homes and main council buildings. Plans for new playing fields and sports pitches at Amman Valley Comprehensive School have been given the go ahead. Carmarthenshire county council planning committee approved an application for full planning permission for the facilities to be developed at the site in Margaret Street, Ammanford. The committee was told that the council has recently secured financial assistance from the Welsh Government for the improvement of the schools within the county, and Amman Valley Comprehensive School has been identified for upgrade. It’s usually one of the topics guaranteed to crop up in any business networking event, or even in a casual conversation down the local pub. Of course, I could probably talk for Wales on the subject. But, space in the Carmarthen Journal being at a premium, I will try and be brief . . .
VAT (Value Added Tax) is a tax chargeable on taxable supplies and services made by taxable persons and businesses. Output VAT is charged on applicable sales and Input VAT is reclaimable on applicable purchases. The net amount when one is taken away from the other is the amount payable to/repayable from H M Revenue and Customs. Nice story in the South Wales Evening Post about Corrie star Mikey North landing his support to the Healing The Wounds charity. Spotlight on the Mond Cup football semi-finals on the back page of the Carmarthen Journal today. Latest 'Looking After Business' column from chartered accountants and business consultants Clay Shaw Butler in the Carmarthen Journal today. 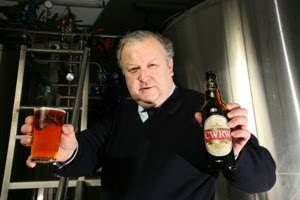 Llandeilo brewer Simon Buckley's latest 'Iechyd Da' beer column is in the Carmarthen Journal today. Carmarthen Journal carries a story on the weekend Carmarthen Beer festival - two Evan-Evans Brewery ales on tap this year. Nice spotlight on the Carmarthen Town AFC charity evening (October 14) in the Carmarthen Journal today. Splendid piece in the Llanelli Star sports pages on the latest results from The Ashburnham Championship Links Golf Course in Pembrey. Llanelli Star 'Going Out' pages put the spotlight on next week's 1911 Railway Strike Gala Concert, featuring Cor Meibion Llanelli. A team of 13 firefighters swum the Bristol Channel to raise cash for sufferers of post traumatic stress disorder (PTSD). And they raised a whopping £8120.70 for the Welsh PTSD charity Healing The Wounds. 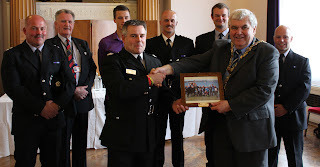 The money was handed over at a special presentation ceremony held at Swansea Guildhall attended by The Lord Mayor of the City & County of Swansea Councillor Ioan Richard, Councillor Tony Colburn and representatives of the Mid and West Wales Fire and Rescue Service. Many of the firemen involved in the swim were unable to attend the presentation ceremony as they were responding to the tragic accident at the Gleision Colliery. The cash was handed over to Healing The Wounds by Andrew Francis on behalf of the Mid and West Wales Fire and Rescue Service. In return, Councillor Richard presented Mr Francis with a framed photograph showing the swimmers arriving home at Knab Rock, Mumbles, Swansea. The new £2million state-of-the-art leisure complex at the prestigious Lamphey Court Hotel & Spa in Pembrokeshire was given the seal of civic approval when it was officially opened last night (Monday, September 26). 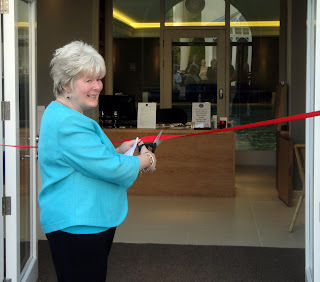 The Deputy Mayor of Pembroke, Councillor Mel (Melanie) Phillips, cut the tape to declare the centre open. And the Deputy Mayor congratulated the staff and management of the hotel on creating a “wonderful new resource for Pembrokeshire”. Councillor Phillips: “Everyone has worked tremendously hard here, from the architects and the builders to the staff in the hotel and the spa, and I hope that the new centre is a huge success. There has been a remarkable transformation at the hotel and spa centre over the last year. There’s a chance to catch up on the latest developments in the world of business at a special seminar being staged in Carmarthen tomorrow (Wednesday). It’s being organised by Clay Shaw Butler, chartered accountants and business consultants of Carmarthen and Porthcawl. “It’s an afternoon seminar with something of interest for everyone – and you get a great chance to do some useful networking,” said Clay Shaw Butler consultant Ann Thomas. The seminar is on Wednesday, September 28, and runs from 2pm to 4.30pm at the Cothi Suite at the Halliwell Centre at the University of Wales Trinity St David in Carmarthen. There are a limited number of places available at the seminar – but, if you are interested, you can contact Clay Shaw Butler at – email, info@clayshawbutler.com, telephone, 01267 228500; address, 24 Lammas Street, Carmarthen SA31 3AL. Carmarthen Library is to open earlier to reflect changing demands on the service. It will open half an hour earlier each morning at 9am and close earlier at 6pm on Tuesdays and Fridays, an increase of one hour per week overall. Use of the IT suite will also increase by six hours per week. The county council facility in King Street will remain open until 7pm on Mondays and Wednesdays for those people who want to visit the library after work. Earlier opening was brought in following increasing demand from the public for the library to be open at 9am. Visitor figures also show that the number of people using the library during the evenings has declined. Recent changes in staff timetabling have made it possible to increase the overall opening hours from 53 to 54 hours per week. Hiring of the meeting rooms will not be affected by the changes in the library opening hours. 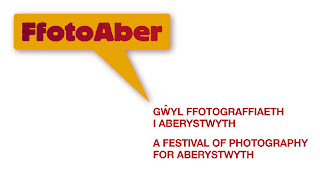 Today, FfotoAber, the first photographic festival of its kind to be held in Aberystwyth, is launching a registration system for keen photographers to to participate in a photomarathon. The photomarathon which takes place on 22 October, and is sponsored by Aberystwyth Business Club, aims to challenge competitors’ creativity and mental agility. Anyone interested in taking six photographs, related to six themes, on one day, using a digital or mobile phone camera is encouraged to visit www.ffotoaber.com to register. 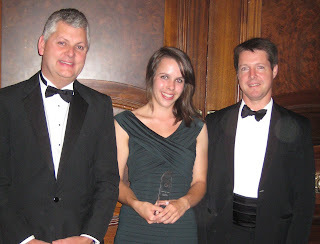 Aberystwyth University zoology graduate Victoria Franks is the Science Engineering and Technology Awards (Europe) Biology Student of the Year for 2011. The announcement was made at a glittering awards ceremony attended by hundreds of academics, industry executives, and senior figures from government, scientific and technical institutions at the Millenium Hotel in London. Of 600 nominees, Victoria, who studied at Aberystwyth’s Institute of Biological, Environmental and Rural Sciences (IBERS), was one of just three finalists, selected on the basis of a synopsis of her honours project. Titled “Brains or daring: shoaling fish follow the leader”, Victoria investigated social learning in tropical guppies. The finalists were judged by five leading scientists on the basis of a presentation and interview, held at the Society of Biology in London. A new Access to Social Housing policy has been implemented in Carmarthenshire. The new policy came in to effect on September 19, and aims to provide fairer access to social housing. It was developed following a wide-ranging consultation including housing applicants, tenants, councillors, council and housing association staff, as well as statutory and voluntary bodies. The new policy provides a simplified points-based system, and is common with policies operated by housing association partners. By law, the council must give priority to households that are homeless, living in unsanitary, overcrowded or unsatisfactory houses; those who need to move for medical or welfare reasons, and those who need to live in a particular area of the county to avoid hardship. In addition, local priorities have been identified and built in to the new policy. Residents of Llanelli have had the opportunity to enjoy an evening of Bhangra music. 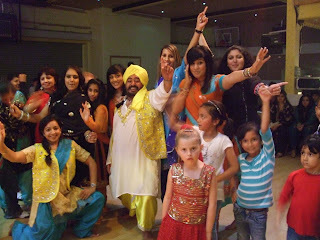 The Ethnic Minorities Help Association (EMHA) held a Bhangra night at the Antioch Centre, in Copperworks Road, Llanelli. The Sher-e-Punjab (Lion of Punjab) group of musicians and dancers from Cardiff performed. The event was funded by the Communities First Trust Fund. The EMHA periodically arranges such social events to showcase the rich culture of diverse ethnic minorities of the area and enable their neighbours and friends to participate and enjoy. Communities First Development Officer Farah Aziz said: “Bhangra night was held for the very first time in Llanelli to highlight the vibrant culture of the Punjabi community from India and Pakistan who have now made Llanelli their home. Bhangra is music from Punjab and it is common to areas of Punjab in India and Pakistan. A group of young people from Carmarthenshire have spent the summer indulging in arts and culture. Carmarthenshire County Council has hosted a Summer Arts College to provide an exciting insight in to visual and performing art for young people who would not usually engage in such activities. It has been hailed a big success, with all participants gaining a Bronze Arts Award. The youngsters, aged between 14 and 18, have had the chance to participate in various art forms, including photography, performing arts, sand sculpture and circus skills. They have also worked with Mess Up The Mess – a youth theatre company based in Ammanford – to learn about music, and have enjoyed a play at Swansea Grand Theatre. Throughout the programme, they have worked at community education venues, including Pembrey and Felinfoel, and they received their awards at a special celebration event with family and friends at Llanelli’s Theatre Elli. Carmarthenshire has been judged as the council that is coping best with providing social care services against a background of national budget cuts. Independent organisation Demos, in association with Scope – a charity for disabled people – has produced a league table after looking at all 22 Welsh local authorities. Carmarthenshire County Council was ranked number one on the list, which was published online last week. The assessments were based on a range of factors including budget changes to older people’s care and changes in user charges for various social services. Speaking of the ranking, Bruce McLernon, director of social care, health and housing, said: “Despite the very difficult financial environment local authorities are working in, we in Carmarthenshire have continued to make social care a priority. Acquiring the spectacular mountainside golf course at Garnant is “a dream come true” for Clay’s Golf. The Wrexham-based company have taken on from Carmarthenshire Council a 25-year lease and subsidy to run and manage the golf course and clubhouse on the edge of the Brecon Beacons National Park. They will be creating 10 new jobs. Garnant’s 120-acre and 7,000 yard municipal golf course was created in the mid 1990s at a cost of almost £1million on land that was formerly part of the Garnant Opencast coal mine. It has been described as the best municipal golf course in Wales with magnificent views of the Black and Betws Mountains from its clubhouse and fairways. Because of the current economic climate, the authority undertook a review of all its leisure services and agreed Garnant Golf could be leased off to the best bidder who would ensure its future and development. The former wild man of soccer Robbie Savage has been tangoing on down to Llanelli whenever a heavy Strictly Come Dancing schedule will allow. The 39-times capped Five Live radio presenter and former Welsh professional footballer is pursuing business ventures in Carmarthenshire including a hotel and restaurant at separate locations. The would-be Lord of the Dance said he was “tremendously excited” about his business plans. RDP (Rural Development Plan) Sir Gar will be hitting the road to let residents of rural Carmarthenshire know what grants and assistance might be available for them. If you're an individual, farmer, business or community group they may have something for you. This project is funded by the Rural Development Plan for Wales 2007 - 2013 which is funded by the Welsh Government and European Agricultural Fund for Rural Development. Sunday 9th October League of Friends of Friends Dafen Church 3.00pm. Wednesday 19th. October. Meeting Furnace Community Centre 7.00pm. Sunday 13th November Remembrance Service Town Hall 10.00am. Monday 14th November Festival of Light St. Elli Centre 6.30pm. Saturday 26th November Coffee Morning Ladies’ Committee 10.00am. Wednesday 30th November Christmas Raffle Draw Stebonheath 7.00pm. 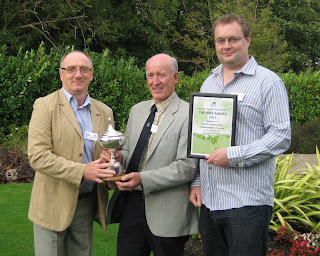 The work of the IBERS plant breeders at Aberystwyth University has been recognised with the presentation of the British Grassland Society Innovation Award for the development of high water soluble carbohydrate or what farmers know as ‘high sugar’ varieties. The award was announced at the BGS 10th Research Conference in Belfast on September 21st, where Dr. Athole Marshall, (leader of the Public Good Plant Breeding Group) accepted the trophy from BGS President John Downes. “These new ryegrass varieties have real benefits for farmers,” says John, who is using them on his Shropshire farm. The grasses have been developed by the grass breeding team at IBERS, supported by their colleagues in livestock science and in the Grassland Development Centre, who have demonstrated the benefits of these varieties and encouraged uptake among farmers. It was the official opening of the new £2million spa at the Lamphey Court Hotel tonight. The ribbon was cut by Pembroke Deputy Mayor Councillor Melanie Phillips. We, of Transition Town/Tref Trawsnewid Llandeilo welcome Llandeilo Town Council’s initiative in calling a public meeting on October 5 to discuss the Sainsbury’s proposal to build one of its stores on the outskirts of the town. We are pleased to discover that Sainsbury’s appears now to have reversed its earlier refusal to attend such public events. As the Carmarthen Journal’s letter page records, the proposed supermarket has stimulated a broad range of opinions and it is right that they should all receive a fair hearing. This was our motivation in organising the first event, which crammed the meeting room in August and spawned the Save Llandeilo’s Future campaign group. At the Lamphey Court Hotel and Spa for the official opening of the new £2million spa and leisure centre. Expect photos later! 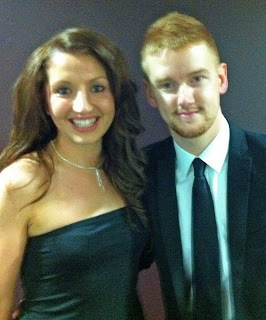 Coronation Street star Mikey North (Gary Windass in Corrie) has become the latest celebrity to lend support to the Healing The Wounds charity. Mikey praised the Welsh charity for their work with victims of PTSD, post traumatic stress disorder. It is very appropriate for Mikey to support the charity as his Corrie character Gary Windass has been having an on-screen battle with PTSD. Mikey found out about the work of Healing The Wounds when he met up with Amie Phillips, the events organiser with Healing The Wounds, at a function at Cardiff City Stadium. The charity already has leading British actor Michael Sheen as its patron and recent celebrity supporters have included singer and actor Will Young and the world’s greatest living explorer, Sir Ranulph Fiennes. “It was great to meet up with Mikey and bring him up to speed with the work Healing The Wounds does as a charity to help people in Wales who have problems with PTSD,” Amie said. Proud to announce that summer has arrived in Llanelli - at last. Walked the dog down the Millennium Coastal Path this morning and it was T-shirt weather - Scorchio! Dangerous moment this morning. Didn't switch off the TV quick enough after World Cup Rugby. Strayed into Jeremy Kyle show, but recovered to power off! Well done to Wales on a fine show. Da iawn a llongyfarchiadau i Ken Owens am cap. Congrats to Carmarthen's Ken Owens on his first cap. The draw for this season's Mond Cup semi-final has produced two mouth-watering ties:- On Wednesday October 5th last year’s runners-up Pencader entertain Ponthenri and the following Wednesday 12th October sees a local derby between Johnstown and Llanstephan. Both these matches should attract a large crowd. Both games to be played at Richmond Park with a 6.45pm kick off. A contentious 15th minute goal by Liam McCreesh proved to be the difference between these two sides in a dour affair at The Marston Stadium, Aberavon. A long ball was played into the Town box and appeared to be collected by goalkeeper Michael Lewis but under a challenge from McCreesh the ball fell loose as was slotted into the back of the net by the home player. Town had started the game with a few changes to their line up. Cledan Davies moved to left back instead of the injured Kyle Graves while Geraint Passmore took the place of Kieran Howard in midfield. Both sides were desperate for points from this fixture as both were near the bottom of the Welsh Premier League. The E H Factors and Clothing sponsored Carmarthen Town side began quite confidently with Passmore and Nicky Palmer being prominent in midfield. They looked to free Nick Harrhy and Steffan Williams down the wings and to feed Jack Christopher down the middle. 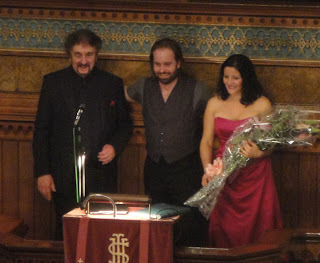 Short clip of Some Enchanted Evening, sung by Alfie Boe at Tabernacle Chapel last night. These aren't very good. Couldn't use flash as I didn't want to upset the proceedings. Young Graham Harries from GPhotography had a flashier camera and I'll bet he's got some super photos. Aflie Boe with Adele O’Neill, the Llanelli Choral Society, Hywel Girls Choir and Hywel Boy Singers at Tabernacle Chapel, Llanelli. Alfie Boe came, saw and conquered when he ventured into Llanelli, one of the heartlands of the Welsh choral tradition. There was something of the rock star about Boe’s appearance – cruising up to the chapel vestry at Tabernacle in a shiny blue Bentley limousine and taking the ‘stage’ in T-shirt and cloth waistcoat. Well, it wasn’t so much of a stage – it was a case of “the first time I’ve sung in a pulpit” for the Lancashire singer who is the current holder of the unofficial Britain’s Most Popular Tenor title. A pulpit may not be the best canvas to display years of stagecraft (even if Boe did attempt a tap dance at one stage! ), but this concert wasn’t about showmanship; it was all about the voice. And, boy, what a voice.